Let us, O God, look to the tree and flower for the beauty and serenity of orderly living. As each in its season, depending wholly upon Thee for development, arrives at perfection, so may each of us in simplicity and trust, work out the divine pattern of her being and help us to achieve in living, O God, the same harmony and loveliness that we strive for in gardening, exemplifying in both, the beauty of holiness. I pledge to protect and conserve the natural resources of the planet Earth and promise to promote education, as we may become the caretakers of our air, water, forests, land and wildlife. 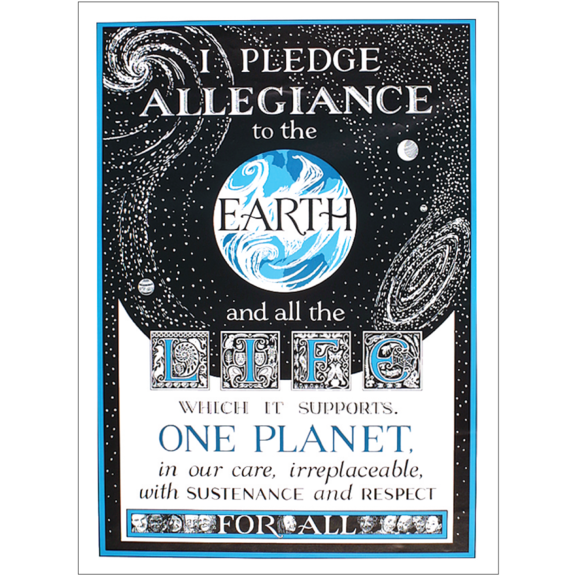 I pledge allegiance to the Earth and all life which it supports, one planet, in our care, irreplaceable, with sustenance and respect for all.